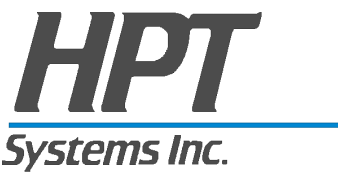 About Us: - HPT Systems, Inc. Harnessing the power of ever-changing computer technology can be an overwhelming prospect even to the most experienced computer users. Knowing what computer system best serves the business, understanding the advantages of networking, discovering the benefits of computer access from remote locations, how to best connect with the Internet, and how to best secure the environment - these are just some of the issues that we can help you address. At HPT Systems, we provide a team of computer experts who design, install and service computer systems for small to mid-sized businesses, in virtually any industry. Our considerable experience with a wide variety of systems enables us to tailor individual computer solutions that optimize productivity without straining financial resources. We strive to not only meet current needs but also to anticipate future requirements. Alan ﻿He﻿﻿rr﻿ - President and Co-founder of HPT - Alan has over thirty years IT industry experience, dealing exclusively with personal computers, networks, and related products. Alan is involved with consultation, project management and support. He has certifications and training from Microsoft, VMware, Novell, Cisco, and Citrix and has been designing and installing network solutions since 1985.